Equipped print head height adjustment for media, it enables print head auto-adjust with media thickness under 100mm, deliver a smooth printing even with various media. Utilize with Maxcan anti-collision system for print head, easier to adjust for different substrate, avoid any chance to damage print head under any misoperation. Use double lead screw driving system, guarantee printing resolution and quality, longer printer lifespan. 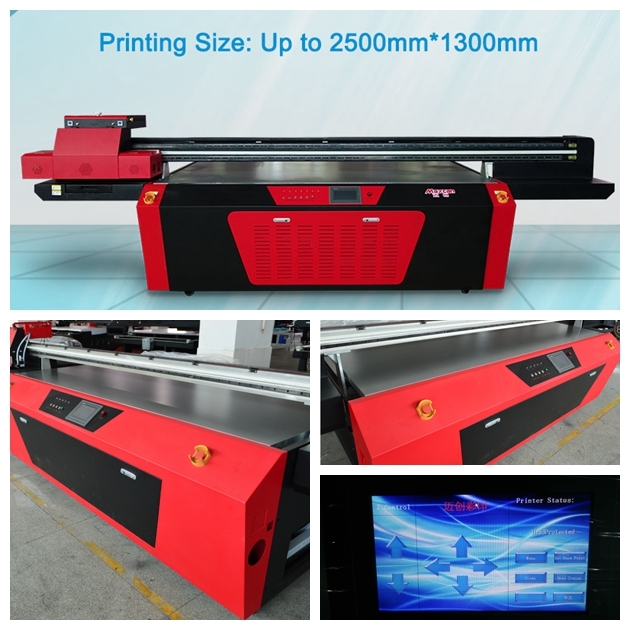 F2500G flatbed uv printer price UV Flatbed Printing Machine, F2500G flatbed uv printer price UV Flatbed Printing Machine factory, F2500G flatbed uv printer price UV Flatbed Printing Machine manufacturer, F2500G flatbed uv printer price UV Flatbed Printing Machine price. Applied all steel frame structure, better-structured frame made it more stable and keep high precision. Equipped with media thickness auto-detect system, auto-adjust carriage height, deliver a supreme print quality. Interactive operation with touch screen, Multi-Language available for global users. Sectional vacuuming platform, inlet volume control for different media makes printing easier and more efficient. Imported high speed mute screw, high-precision, low noise, wear proof and precise positioning. textile, wallpaper, bricks, ceramic tiles and more. Why choose Maxcan Navigator Series F2500G UV Flatbed Printers? 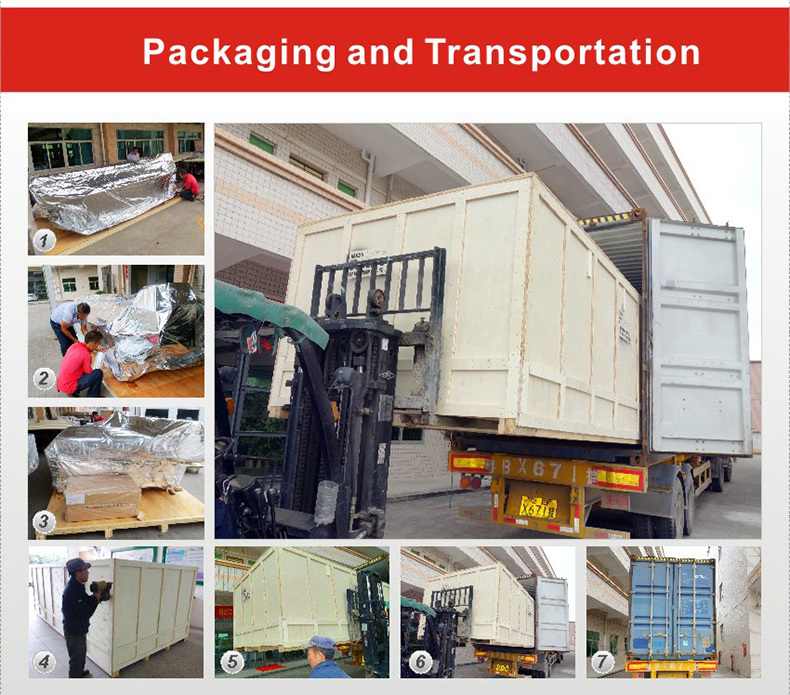 improving UV flatbed printer only, which helped us to build good reputation from domestic & oversea market. 2. MAXCAN F2500G5 is equipped with 3 Ricoh GEN5 print heads, which can be upgraded to 8 heads. F2500G5 offer longer service time and higher speed, designed for 7*24 use. 4. 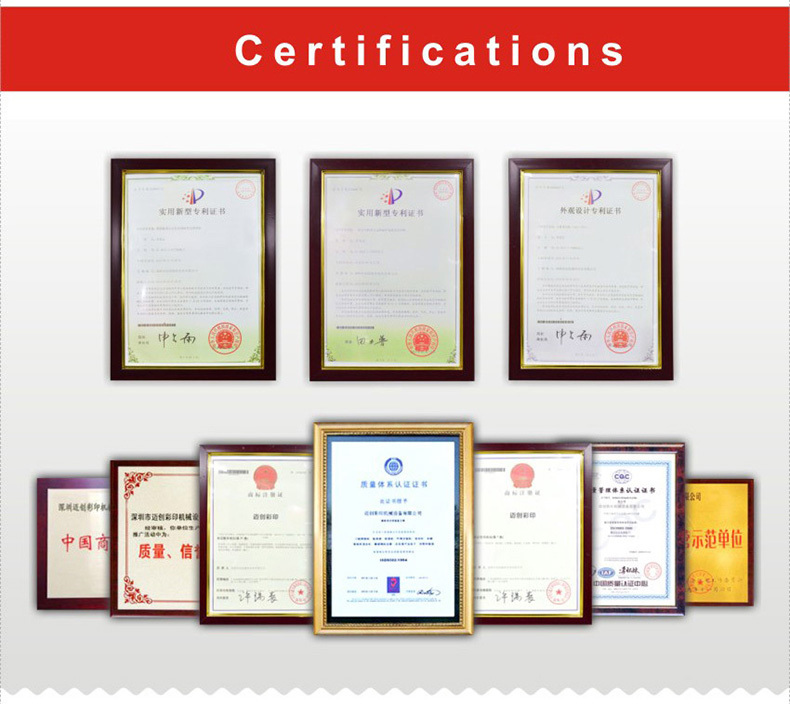 3H---High-stability, high-quality and high-speed will improve the printing efficiency with lower cost.